Holds up to a 15.6"
Store and protect your 15.6" laptop, tablet, and other items with the Recycled Series Backpack from HP. 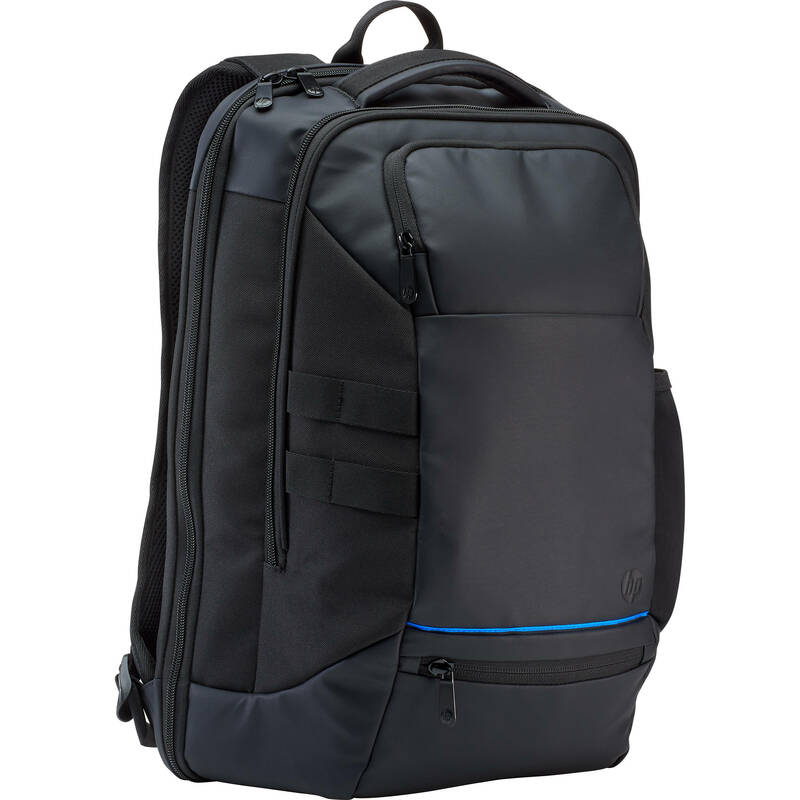 This backpack is made from recycled plastics and can protect your items from bumps and drops with a padded laptop compartment, a bottom zip compartment, a top compartment with an expandable pocket, and an exterior water bottle holster. There are top and side handles available in addition to backpack straps, so you can transport your belongings safely. Additionally, you can use the backpack with your luggage thanks to its trolley pass-through strap. This backpack is made from shredded recycled plastics, which are then converted into small flakes and plastic chips. Finally, it's heated and spun into yarn to create a weather-resistant fabric. Slide your laptop into the padded compartment that keeps it securely in place. Store your AC adapter in the bottom zip compartment and essentials in the top compartment along with an expandable pocket. The exterior holster holds your water bottle. Remain comfortable with padded shoulder straps and a sternum strap that prevents riding up on the chest, or turn the bag and carry it by the side handle. Stay cool with an air mesh back panel and protect your valuables with a soft-lined quick access pocket. Roll through the airport hands-free with the convenient luggage pass-through that supports stacking the backpack on a rolling suitcase. Master TSA check-ins with a notebook compartment that zips open and lays flat. Laptop Compartment Screen Size 15.6"